Top Secret Roswell Alien Autopsy Film Fully Revealed For the First Time! Sixty five years ago, a strange object crashed in the desert north of Roswell, New Mexico, and witnesses claimed that the bodies of “extraterrestrials” were recovered by the U.S. military and taken to be autopsied at the Roswell Army base. 48 years later, in 1995, a grainy black-and-white film of the alleged autopsy was released worldwide to stunned audiences. The complete story of this controversial film is told in the newly-released book Roswell Alien Autopsy: The Truth Behind the Film that Shocked the World, written by British UFO researcher Philip Mantle, the first person given access to the film. In 1993, while working as the public relations officer for the British UFO Research Association (BUFORA), Mantle received a call from fellow Briton Ray Santilli, an entrepreneur and filmmaker whom Mantle had never met. Santilli told Mantle that he had “some actual film of the UFO crash at Roswell in l947.” Mantle asked to see it, but a viewing was not arranged until much later. Santilli told Mantle that he acquired the film from a retired U.S. Army cameraman who claimed to have been present at the autopsy in 1947 of extraterrestrials recovered at the Roswell UFO crash. Mantle kept his word not to release any information about the film while Santilli figured out how best to market it, but a fellow UFO researcher accidentally let the film’s existence leak out to the general public. Suddenly, Santilli, Mantle, and others who knew about the film were deluged by intense media interest from all over the world. Eventually, the alien autopsy film was featured on a Fox TV documentary called “Alien Autopsy: Fact or Fiction?” aired in August 1995. The program earned some of the highest ratings ever for a FOX Network special, and two updated versions of the documentary were broadcast later, giving viewers more information and additional footage from Santilli. The alien autopsy footage became a worldwide sensation and a hot topic of discussion at virtually every UFO gathering. For many people, the autopsy film became definite proof of the existence of UFOs and extraterrestrials on our planet. And then the roof caved in. Dubious about the film from the beginning, Mantle continued working hard behind the scenes to discover more about Santilli’s alien footage. Mantle spent years studying the film, talking to film experts, interviewing special effects wizards, and doing everything in his power to either authenticate or discredit the footage. It was not an easy path, and Mantle was often faced by seemingly insurmountable obstacles, clever mixtures of truth and lies, mysteries wrapped within other mysteries, and an ever lingering doubt about Santilli and his film. This 318-page book chronicles in full detail Mantle’s all-consuming obsession with uncovering the truth about the film that he helped Santilli launch upon the world. It is the most engaging of mystery stories, describing how Mantle painstakingly peeled away layer after layer of the deceit and misdirection that so often plagues the UFO research community. British UFO researcher Andy Roberts said, “The Alien Autopsy changed the world of ufology forever in 1995, causing it to shatter into even more polarized factions. Was it real or was it fake? The autopsy film transcended both categories to take on a reality of its own. In this book Philip Mantle has chronicled the passage of the autopsy from its birth, when Ray Santilli revealed it to the world to its current status as icon of the impossible. Whodunit? Hard to tell, although after reading this book you'll have a head full of suspicion ... As a hybrid between Cluedo and X Files, it can't be beat and should be read by everyone with even a vague interest in the subject of aliens." Nick Pope, the former head of UFO research for the British government, adds, “The Alien Autopsy Film is either proof of an extraterrestrial presence on Earth and an associated government cover-up, or the greatest hoax of all time. Philip Mantle's book is a fascinating and comprehensive investigation into the greatest and most controversial mystery of our time." Whitley Strieber, bestselling author of Communion and The Greys, calls Mantle’s book “a searching, insightful and much needed examination of the truths and lies behind the famous ‘alien autopsy’ film. It shines light into the shadows surrounding this world-famous piece of film. Is it a fake or not? This engaging mystery story takes the reader in some very surprising directions. A most interesting and provocative book. 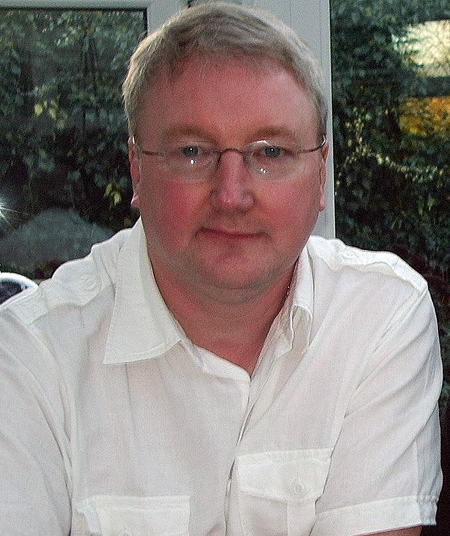 Author Philip Mantle is the former Director of Investigations for the British UFO Research Association, former Mutual UFO Network representative for England, and an honorary member of the Research Institute on Anomalous Phenomena in the Ukraine. He is an international lecturer on the subject of UFOs and has also worked for a variety of TV and radio companies around the world. 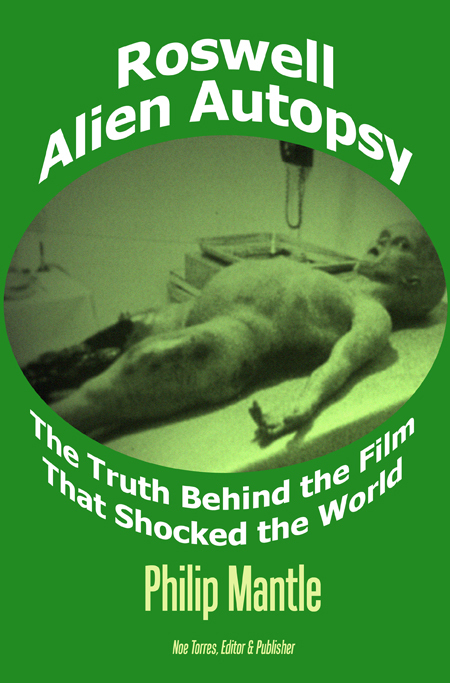 Roswell Alien Autopsy: The Truth Behind the Film that Shocked the World, published by RoswellBooks.com, is available in soft cover for $14.95 from Amazon.com and most online book retailers. It is also available an e-book exclusively for the Amazon Kindle.